In 2013, a cool growing season and late harvest produced gorgeous Barolos with striking aromatics, silky tannins, sculpted, vibrant fruit and mid-weight structures. Readers will find a number of thrilling, utterly captivating wines that speak to the pedigree and class that are the signatures of the best Barolo vintages. The 2013 growing season will be remembered for many things, including a very wet spring that required swift intervention in the vineyards to stave off peronospera, a disease that is not usually so devastating at this time of the year. Producers who treated their vineyards saved their crop, those who could not or did not, suffered severe losses. Because the ground was wet, spraying had to be done manually, rather than by tractor, a painstaking job that not all producers were able or willing to undertake. To be fair, peronospera is very rarely so severe at this time of the year, but producers who did not treat were hit hard. Many growers told me the number of treatments was double that of a normal year and clearly some producers were less willing to intervene than others for philosophical reasons. Fortunately conditions improved into the summer, with warm, but not excessively hot, temperatures that allowed the crop to ripen gradually. Perhaps most importantly, the last phase of ripening saw healthy diurnal shifts between daytime highs and evening lows, one of the most critical components for the development of aromatics and color in Nebbiolo. The late harvest also allowed the tannins to ripen fully, always a challenge with Nebbiolo. There was some rain during harvest, which is most likely the reason some growers spoke of grapes with thin skins that required delicate extractions. On the other hand, some growers opted to give their 2013s more time in barrel because of the wines’ imposing tannins. The 2013 Barolos generally possess striking aromatics, silky tannins that are the result of a long growing season, sculpted, vibrant fruit and mid-weight structures. When the 2013s were younger, I thought they would turn out along the lines of the 2010s, but over the last year in particular, many 2013s have acquired a level of textural finesse and grace that is truly remarkable. In many cases, the 2013s remind me of the 2008s, but with more depth, better balance and more consistency. If that sounds appealing, well, it is. Overall, the 2013s are Barolos that speak to finesse above all else. These are wines that will hold considerable appeal to readers who enjoy classically built wines. The 2013s have a good bit of supporting structure, but not the explosiveness or austerity found in vintages such as 2006 or 2010. I don’t think the 2013 quite reaches the sheer thrill factor of 2010, but it comes very close. In the 1996 film, Jerry Maguire, NFL player Rod Tidwell (played by Cuba Gooding, Jr.) shouts out the phrase that would become iconic at his agent Jerry Maguire (played by Tom Cruise). This is how things are playing out in Piedmont. Broker: I have a client who is interested in buying your property. Owner: Thank you, but I am not interested. Broker: I understand. But if you were to sell, what would be the price? The biggest story in Piedmont continues to be the sale of Vietti and a continuous steam of rumors about other estates that are said to be close to being sold. I have been, and continue to be critical of the Vietti sale to American businessman Kyle Krause, not because the estate was sold, but more because of how and why that sale happened. It is one thing if a group like LVMH, Artemis or Roederer were to buy an estate in Piedmont. All three have a long-term track record of success, demonstrated long-term commitment to the business and a deep bench of talented professionals. Sadly, Vietti is now in the hands of a family that has none of the above. As long as Luca and Elena Currado are around, I think Vietti will be fine. After that, all bets are off. Piedmont is not Bordeaux, where consumers often buy brands. 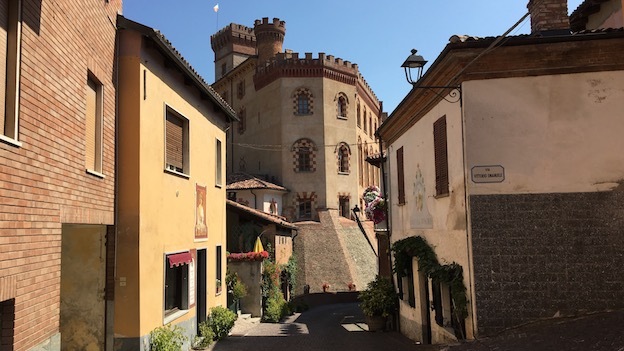 In Piedmont, consumers buy a story, and that story almost always involves a family and a connection to the land. In that regard, Piedmont is quite similar to Burgundy. There are a handful of top estates in Burgundy that are owned by large groups; Domaine de L’Arlot, Domaine de L’Eugénie and Domaine de la Vougeraie all come to mind. These estates all produce consistently outstanding wines. 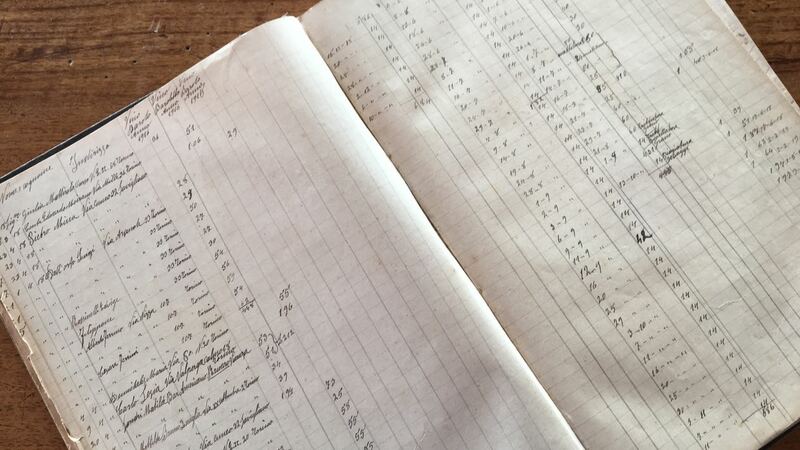 And yet I know of no Burgundy collector – rightly or wrongly – who would place any of them on the same level as Mugnier, Rousseau, Dujac, Roumier and countless other domaines that are family owned and operated. It is no secret that Bordeaux drives the fine wine market globally. That region’s long-established markets and commercial infrastructure, along with so many properties that offer high quality and production, are unequalled anywhere else. More recently, Burgundy prices have exploded as consumers and collectors pay just as much, if not more, attention to scarcity. With this backdrop, interest in Piedmont wines has surged massively over the last 10-15 years. When I started Piedmont Report in 2004, there was not a single Barolo or Barbaresco that could not be sourced and purchased in volume. How things have changed since then. There is no question that much of the demand for Piedmont wines has grown as quality has improved markedly. Among other things, today’s wines are easier to drink and enjoy than the wines of the previous generation, which means a larger number of consumers is trying and discovering the wines than ever before. But there is more to it than that. Bordeaux went through four vintages in which market interest was limited (2011-2014), while Burgundy saw sharply reduced yields during the same period (and again in 2016). All of that led the trade, especially the big players, to seek alternatives to offer consumers with Old World palates. Piedmont was a logical choice, especially with the exceptional 2010 Barolo vintage. Last year, an interesting thing happened. Bordeaux had a strong vintage with normal production. And the interest in Piedmont wines? It dropped sharply. Today, the market dynamic is this: Bordeaux has two strong back-to-back vintages (2015, 2016) that are likely to capture considerable interest from the market. In 2015, Burgundy has its first vintage with normal production levels since 2009. Against this backdrop, the 2013, 2015 and 2016 vintages are all strong in Barolo, while 2014 will offer a handful of exceptional wines. The annual production of Barolo is around 12 million bottles, and while only a small percentage of that production is going to appeal to Vinous readers, I believe that confluence of several strong Barolo vintages and considerable market interest elsewhere will make it difficult for all but a few producers and the trade to raise prices meaningfully. 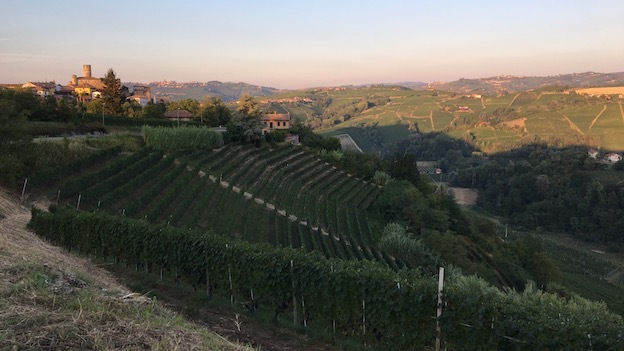 The large supply of Barolo that will appear over the next few years is likely to create a fabulous opportunities for savvy consumers to build good collections for the future. As I have written before, 2014 is a vintage with sharply reduced yields and at least a few truly thrilling wines at the top end. It is a vintage of high-acid, vibrant wines that make me wish I had tasted some of the Barolos of the 1960s and 1970s when they were young wines. The biggest issue with the 2014s is that the vintage might never recover from its poor reputation with the public, much of which producers themselves created with their early comments on the year. But in some spots, 2014 is an exceptional vintage for Nebbiolo, a late-ripening grape that was able to take full advantage of the glorious Indian summer conditions that year. The 2015s I have tasted so far point to a radiant vintage with considerable potential. I have not tasted the 2016s yet, but spent enough time in the region in the days and weeks leading up to harvest to be optimistic. I tasted all of these wines in November 2016, with follow up tastings in my office in December 2016. As always, my winter Barolo article focuses on wines that were bottled during the summer of 2016. I will publish a second set of reviews covering wines that are bottled later this fall.